Countries of the SCO and the Eurasian Economic Union are preparing an agreement that could, in terms of the sheer number of people it would bring under its scope, become the world’s ‘most ambitious’ free trade arrangement. Member countries of the Eurasian Economic Union (EEU) and the Shanghai Cooperation Organization (SCO) are working on an agreement for a continental economic partnership, said Alexey Likhachev, First Deputy Minister of Economic Development, during the first Russia-China Construction Forum. “In fact, we are now going to work on specific approaches to a continental economic partnership, a comprehensive agreement within the framework of the SCO. The SCO today includes countries such as China and Russia as well as many Central Asian countries. However, also involved in this work, on the one side, are Armenia and Belarus, which are members of the EEU, and on the other side, India and Pakistan. The latter two countries have already begun a not so easy, but in future, I think, successful path of accession to the Shanghai Cooperation Organization. Thus, about half the world’s population will be covered by this huge agreement,” he said. Likhachev noted that this agreement would provide for the freedom of movement of goods, facilitate trade turnover, and allow for the free movement of capital and investments. “This will be a comfortable environment for increasing the share of settlement payments being carried out in national currencies and, of course, preferential access to our services market, and first of all to construction and transport services,” he explained. “We will engage in enormous work within the framework of the Eurasian Economic Union, and within the framework of bilateral contacts between China and Russia. I would like to stress that this task has already been set by our leaders; the Chinese President and the President of the Russian Federation. I think that the crowning achievement, with the beginning of these negotiations, could become the most ambitious trade agreement in the world, the summary of this work will be delivered at the next meeting of Heads of State of the Shanghai Cooperation Organization,” Likhachev said. The economic ministers of SCO countries will meet on March 17 to discuss the content of the future agreement, Likhachev told journalists. 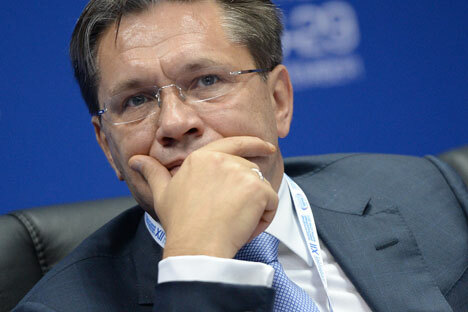 “They (the heads of SCO countries – RNS) have already instructed, though this was not made public, their respective economic ministers to meet, and present during the next meeting of the Council of State Leaders (SCO countries – RNS) some kind of road map,” said Likhachev, emphasizing that “this would involve much more than a free trade area”. First published in Russian by Rambler News Service.